In recognition of their pioneering work in telecommunications, The December 2001 issue of the District Administration Magazine cited the team of Al Rogers and Yvonne Andres as one of the all-time Top 25 Educational Technology Advocates. Al is one of the earliest pioneers in the use of computers in teaching. When he got started... in the days of the IMSAI and Altair (1975-1976)... the only way to obtain a computer was to assemble one from scratch... including soldering IC sockets, capacitors, resistors, and I/O plugs to a blank S-100 mother board. His first classroom computer video monitor was a bare CRT housed in a cardboard box with a window cut in one side. His "mass storage" unit was a portable cassette tape recorder. He and his 6th grade students used this state-of-the-art machine to explore programming NIM, Hangman and other logic games in MITS 8K BASIC (produced by a tiny company named Microsoft). Other microcomputer hobbyists (there were no professionals then) envied his old Model 33 Teletype printer (10 CPS/noisy/upper case only). By 1978, after acquiring five of the earliest Commodore PET's Al and a colleague were teaching 4th, 5th and 6th grade students within a school-based computer "mini-magnet." By 1981 he had established a district-wide computer magnet program in a lab of 21 networked Apple IIe's (with a 10MB hard disk!). Early on, Al discovered the importance of the computer as a learning tool. Al believes that what you do with technology is far more important than what technology you have. "A good teacher does not need the latest and greatest tools. But good technology can also be a catalyst to develop good teaching, especially when you use them as tools. Implementing word processing, spread sheets, databases, and Internet communications in your coursework makes you focus on good-quality teaching." This has been reflected in Al's work in the years since. 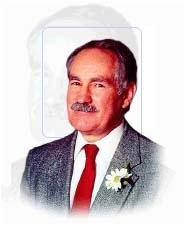 Al achieved a degree of recognition in the early days of educational computing as the author of FrEdWriter, a free teacher- and student-friendly word processor. In 1985 he also wrote and launched the FrEdMailNetwork, a popular Apple IIe-based pre-internet telecommunications network to exchange student writing. In 2005, in the 25th Anniversary issue of Teaching and Learning Magazine, the FrEdMail Network was recognized as one of the top fifteen "Breakthrough Products" of the previous 25 years (item #12)." Al developed these two tools to support the well-researched principle that "Students will write when they have a sympathetic, interested audience and something to say." This is also a major foundational principle of the Global SchoolNet Foundation which he and Yvonne founded in 1990, along with the participation of over 300 FrEdMail sysops. Al and Yvonne made an early contribution to the literature and practice of the use of telecommunications in the classroom. Many of their early articles are classics in the literature. These articles remain current and are mainstays in many graduate and undergraduate Internet programs. Al's work was also influential among educators beginning to use the Internet in its early days. His "Harnessing the Power of the Web" CD-ROM was distributed as part of the Thinkquest Competition to over 500,000 teachers around the world. He also served as a member of the Board of Directors of the International Society for Technology in Education (http://www.iste.org/). Al is currently in retirement enjoying his eight grandchildren & country lifestyle in Ramona, CA. However, he continues to volunteer his time as webmaster for Global SchoolNet and Spirit of Joy Lutheran Church in Ramona. Al has received many awards over the years. 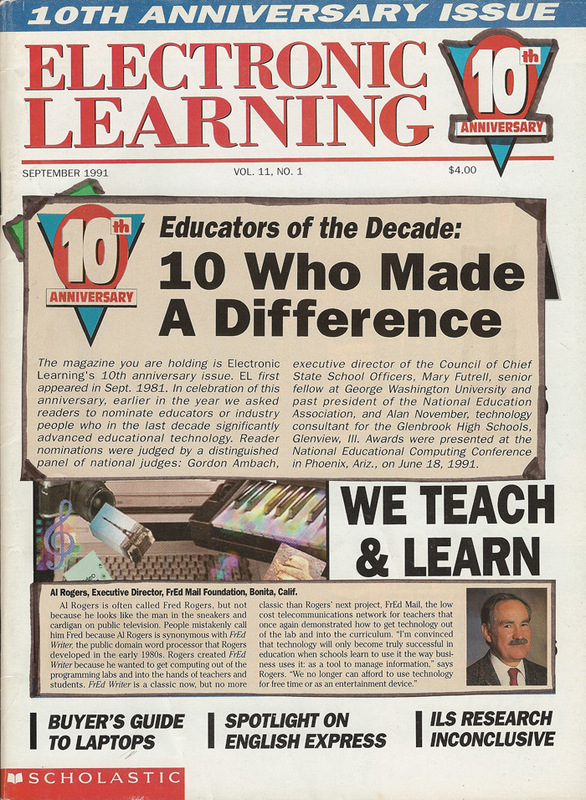 1999: At NECC '99, the International Society for Technology in Education recognized Al as a NECC Pioneer... one of 20 distinguished educational leaders from all levels who have been pioneers and leaders in bringing educational technology to schools around the country. 2001: Technology & Learning Magazine's November article on the "Top 10 Technology Breakthroughs for Schools" cited Global SchoolNet as a leader in their breakthrough category #3: Collaboration Tools. 2001: District Administrator Magazine's November article cited Al and Yvonne among their list of "Top 25 Technology Advocates".